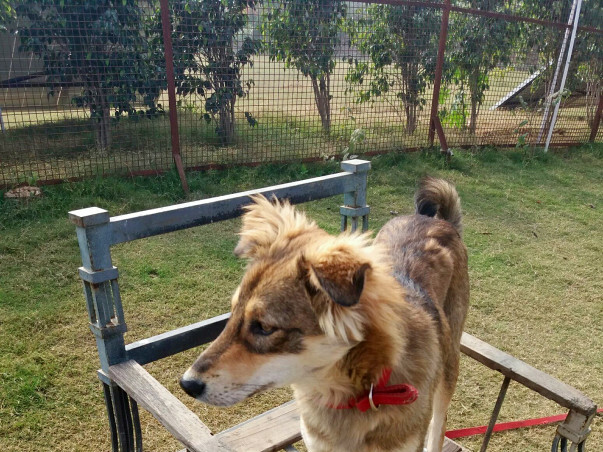 Guddu is a gorgeous, friendly boy almost a year old. Frightened by the noise and chaos of Diwali, he entered a residential society on Sohna Road, Gurgaon. A resident animal lover gave him shelter for a couple of days, had him vaccinated and then let him back outside once the noise died down. 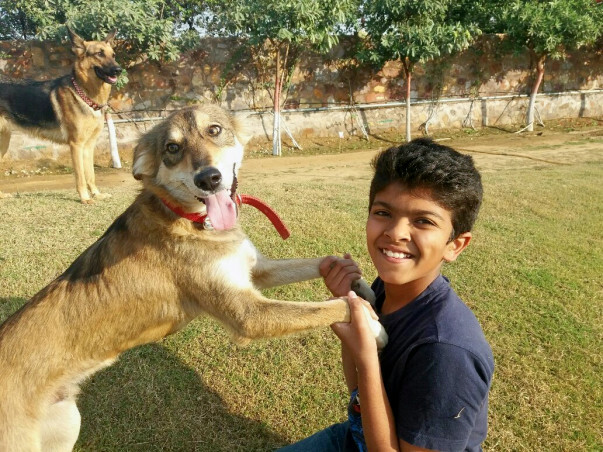 Guddu is extremely friendly and loves cuddling and playing with human, especially children. His fondness for children, however, turned out to be his undoing, as a callous and paranoid residential society management decided to have him unlawfully picked up and left in a strange location, far away. The children were very sad and kept praying for his return. Five days later, his rescuer spotted him more than 10 kilometres away from where his new home was. Scared that he will be relocated again, his rescuer has been boarding him at the Karma Animal Foundation. But he is not happy being away from humans and often follows visitors to the shelter and holds on their clothing in his mouth. Guddu needs a home and a family – with children to hug him and play with him and love him. Now Guddu has a chance to find his family in America and he needs your help to make his dream come true.Please contribute to Guddu’s adoption fund – the funds will pay for his microchipping, sterilization, travel crate and airline ticket. Please help this friendly and very sad boy get to a family and a new life in America. 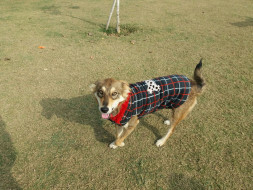 Guddu did not have to fly to the US for a forever home. He was adopted in Gurgaon and the funds raised by this campaign were given to Karma Animal Foundation where he was staying before getting adopted. 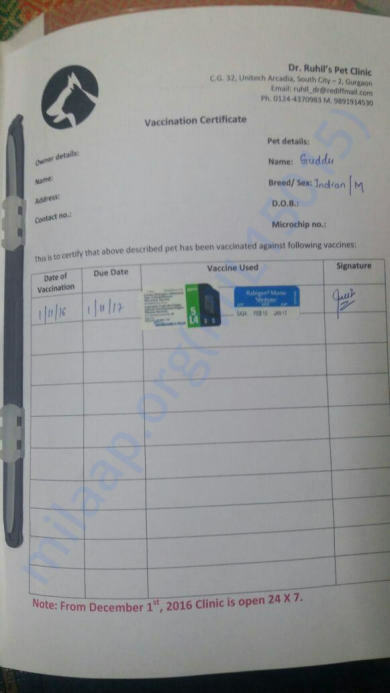 The funds withdrawn will be used for buying the crate for the travel purpose and for microchipping of Guddu . His lease training and basic command training has started for him to settle well over there.